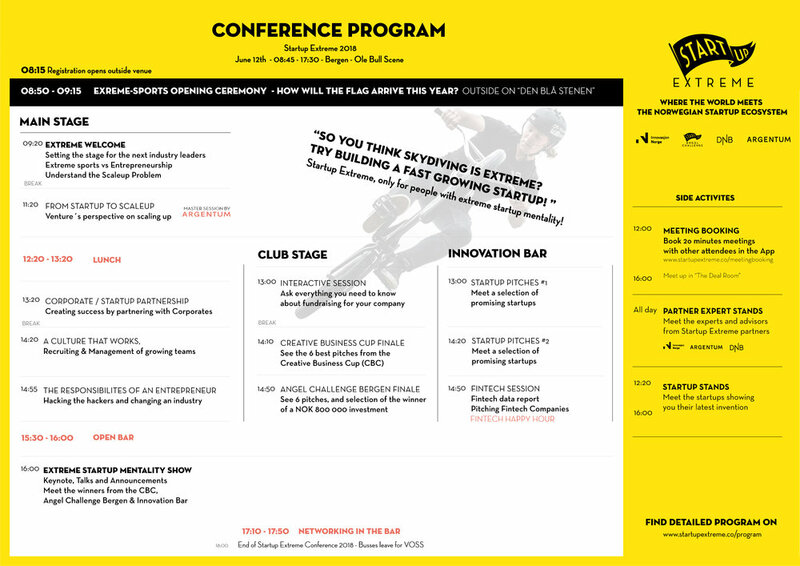 Startup Extreme is bringing this year to Bergen the most exciting local and international speakers to share with us their thoughts and experiences of growing a company internationally. Serial entrepreneurs, Venture Capitalists, Academics, Corporate Managers and Hackers are invited to take the stage and talk about the different aspects of the scaleup problem. 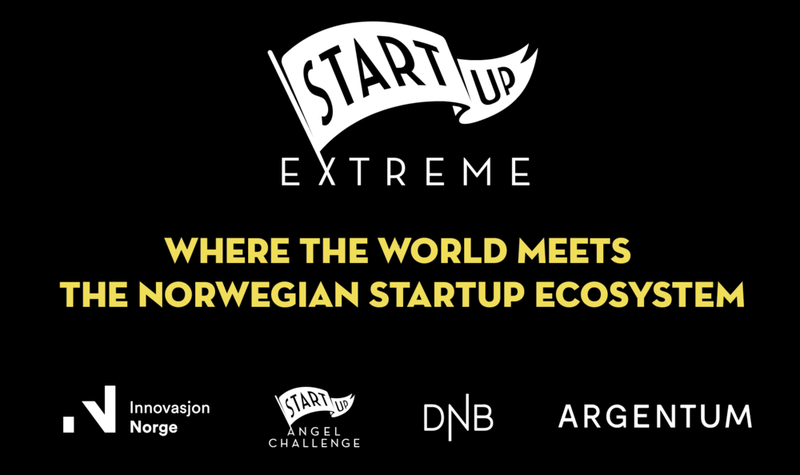 From the Startup Extreme team, we hope this conference will inspire many Norwegian entrepreneurs to dream big from the very beginning and to help them pursue a successful scale up story. Kimberly Larsen is a unique media talent, with more than 18 years’ experience from multiple sides of the creative industry, where she has been an actress, journalist, show host, director, concept developer, script writer, manager, casting agent, producer - and now founder. Kimberly sees possibilities where others see obstacles and creates national brands of unknown artists. She won national and international entrepreneurship awards the year she established her company in London. Today she runs the hiring platform, timetoRIOT.com, developed specifically for the creative industry. Our awesome co-founder & CEO, Maja Adriaensen will take us through the development of the modern startup scene, seen from the eyes of a graduating student in 2010 until the development of today with a vibrant startup community in Norway. She will officially open the conference by introducing the topic of the conference “from startup to scaleup” by sharing her reflections on what the startup ecosystem needs to keep on growing in a healthy way. Welcome to Bergen! Hilde and Anders will welcome everyone to Bergen and will share some words about the vibrant Bergen Startup scene. Hilde is a sociologist and has worked within the Startup Community for a decade. Hilde and her team in BTO run several coworking spaces, incubators and acceleration programs in Bergen. 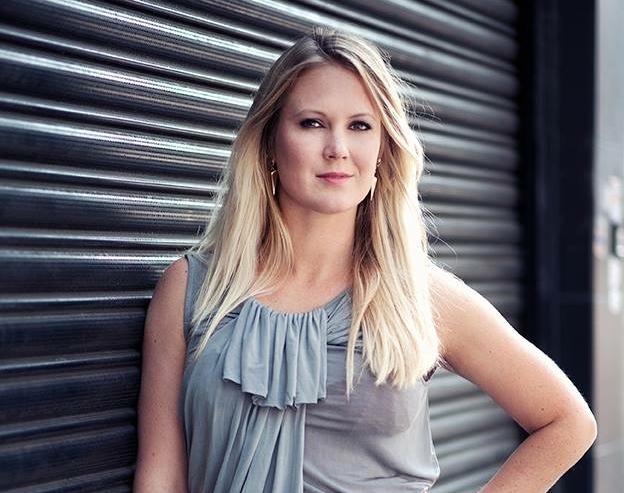 She also works actively as a board member both in the corporate world as well as in the startup ecosystem in Norway. Hilde believes that competent capital, cooperation and passion is the key to challenge status quo. VC Number Crunch: Ingibjörg takes us through the numbers, trends and players in the Nordic VC space. Message from Norwegian Olympian: "Share as much as you can and help the ones around you perform at their best"
Even though single-handed sailing is an individual sport, Kristian Ruth, a Norwegian sailor that competed at the 2008, 2012 and 2016 Summer Olympics, says that the team is everything! The physical coach has helped him get in shape, the mental coach has taught him how to adjust the tension level, the training partners has pushed and taught him during training, the physio has kept him away from injuries, and so on. A team has worked next to Kristian to secure a silver medal two years ago at the European Championship. But apart from racing, it was also Kristian’sjob to help his team members perform as good as possible. Everyone wants to develop and everyone enjoys to receive compliments. So it is every leader's job to challenge their team, ask them what can be done better, give them positive feedback and compliments, and most of all, acknowledge their importance! Dr. Sari Stenfors is a serial entrepreneur, a socially conscious nerd and a cyborg anthropologist. She is Executive Director of Augmented Leadership Institute, a San Francisco based think-tank. Her focus is on how AI, AR/VR, Blockchain and other emerging tech has the ability to change societies for better and worse. The digital revolution has shaken all traditional socio-economic structures and is redefining the way humans behave and interact. However, is it going toward the right direction? What are the largest, most impactful problems to solve right now? And how should they be solved? Sari will show the opportunities for entrepreneurs to take part in the tech-for-good movement and be financially successful at the same time. Not every startup have to go global. However, if to scale up is your company’s biggest problem, it means that you have done a great job as a startup. And this shouldn't be seen as a problem every entrepreneur has to bear alone. Companies that scale up generate an enormous amount of economic growth. So addressing this problem should concern us all. Raising enough fundings, attracting the skilled workers and the lack of appropriate management skills are some of the main challenges startups face when scaling. Ari Helgason, former entrepreneur and Principal at Index Ventures, will discuss these and other issues with Maria Amelie, author and co-founder of Startup Migrants. Norwegian companies are highly innovative initiatives, tech-focused and with the mission to generate a positive impact on the environment and on society. However, they usually lack the ability to win international clients and sometimes the ambition to grow abroad. A big domestic market may be one of the reasons. But what else is stopping Norwegian startups to scale? Lars Johan Bjorkevoll, co-founder of ScaleupXQ and former CGO (Chief Growth Officer) of Xeneta, one of the scaleups we most look forward to succeeding, will share with us what were some of the barriers he found on the way. Argentum is bringing this year to Startup Extreme a high-profile panel of selected Venture Capitalists. They will share with us successful scaleup stories in the Nordics, as well as top advices to fundraise your growth with venture capital. iZettle and Mimecast: two successful scaleup stories from Dawn Capital's portfolio. What are the do's and don'ts when you are a startup ready to scale? Some of the top VCs share their insights. The panel is comprised by Ingrid Teigland Akay, Managing Partner at Hadean Ventures; Håkon Øverli, General Partner at Dawn Capital; and Magne Uppman, Founding Partner at SNÖ Ventures. The panel will be moderated by Ingibjörg Meyer-Myklestad, the Head of Corporate Affairs at Argentum. Startups and scaleups alike have various options to grow: raise money, get bought, acquire someone else, and partner with another company. Partnerships are scaling opportunities that come in many flavours, sizes, and forms. They can be massively successful or often a flop, perhaps even detrimental. How do you determine the right type of partnership to strike? What should you look for in a partnership? Justin Hwa, who previously led M&A and Strategic Partnerships initiatives for eBay EMEA, will answer these questions as well as uncover insights on what corporates look for in partnerships and how to maximise the potential of success for your partnerships. When Startups and Corporates are able to join forces and focus on solving a common problem for the users, magic happens. StartupLab is a true believer in bringing these forces together, the speed of the small and power from the big. By forming these partnerships, startups are allowed to grow faster and win relevant customers, while corporates impulse their innovation processes and gain structural flexibility. Karianne Melleby, Director of Corporate Partnership at StartupLab, will share with us some of the latest examples of their collaborations and many other activities adding value to the community. Karen Elisabeth Ohm Heskja, Investment Manager of Corporate Ventures at DNB, has heard this question many times. What is the difference between Corporate Venture and Venture Capital? These two ways of fundraising differ in objective and potential for founders and investors. “Many investors and founders are sceptical to Corporate Venture. And for good reasons. But how to make it right? Karen will talk about the main differences between Corporate Venture and VC and the potential value Corporate Venture can bring to both startups and investors. Chaos is part of any startup but specially, part of any scaleup. Chaos is easier to manage with smaller teams, as founders can update individually every member and include everyone in the decision process. But with bigger teams, founders cannot hope to talk with every employee and questions such as “How do we make sure everyone is busy and well informed?” arise. Growing a team requires to rethink the way information is being expected and communicated inside the team. And as Hampus Jakobsson emphasizes, it requires founders to “let go”. To trust and delegate on people. The process of recruitment and retention: How the constant shift of roles can stop tech companies from growing faster. One of the main problems European tech startups face is fundraising. The other one is to hire and retain tech people. For most startups, the advice is to hire for aptitudes not attributes, to hire “fast learners”. You need someone who has high aptitudes and the ability to learn fast, because the role is going to constantly shift. However, Hussein Kanji, founding partner of Hoxton Ventures, a London-based VC, considers that the advice for tech startup is to hire for attributes and skills, and to maintain the tech people as tech people, not business managers. Technology has brought tremendous benefits to the development of the society. But this extraordinary invention “poses one of the gravest security dangers” in the present days, according to the former America president, Barack Obama. Hundreds of millions of people turn on their computers every day and send all kinds of sensitive data on the web, that companies collect and sell as the new oil. Recent scandals of misuse of data and cyber-attacks, have resulted in a general feeling of distrust against tech firms. But far from being powerless against hackers and unethical business practises, companies can do a lot to help themselves. Cyber security should be a high priority for tech companies. Ralph Echemendia, is a world-renowned cyber security expert. For the last 25 years he has taught major corporations and sectors of the Federal Government how to better protect themselves from digital threats as well as security breaches. He consults for a number of Hollywood entities and individuals on how to reduce the impact of security breaches. His last projects were TV-show Mr.Robot and Snowden by Oliver Stone. Monica challenges the general assumption of who the typical entrepreneur is will. She is doing what she “always dreamt of” with Think Outside, an exciting sport-tech innovation that could help save lives in the winter mountains, after many years working in the Norwegian oil industry. She believes that a long career as a explorationist in the industry has given her a beneficial ground to succeed as an entrepreneur. As a geologist, she is used to handle uncertainty and mitigate risks, to use all data available to understand nature, constantly challenge the established models and conceptions and make objective decisions that could have large financial consequences. Now she is taking advantage of that long industry background, transferring tech and knowledge into new grounds and together with her team has taken an aim at making a difference in the sports industry. In other words; think outside – no box required. We know you have many questions about how to fundraise the growth of your company. And that is why we have invited local and international entrepreneurs and VCs to share with us some experiences and learnings about startup funding. And most important, to answer you ALL THE QUESTIONS you may have about the fundraising process for your company. Join us and submit your questions through Sli.do app! Why does some companies get over-subscribed while some don't even make it to their first commit? Should you fundraise at all, and if so, how can you prep your company to a successful round? Using smart methodology like MVP testing allows you to build knowledge around your product faster, trustworthiness towards investors and in the end, a better product. “An MVP is not an excuse for a crappy product” says Louise Fritjofsson, a serial entrepreneur. It doesn’t even have to be a product, but something to test in the market your business assumptions. And an MVP is not about proving if you can build a product even how, but why customers should even care about it in the first place. How and why reach for international VCs? Bergen based Henchman & Goon has recently closed an investment round of $ 400.000 with Altered Ventures, an American venture capital fund, to develop their largest gaming project, Pode. As CEO of Henchman & Goon, a Bergen-based startup, Yngvill will take us through Henchman & Goon's journey as a growing startup and their experience fundraising internationally. What fuels success and builds global technology winners? What fuels success and builds global technology winners? Knowledge pools, winners & role models and professional capital, points Henrik Grim at Northzone. What is the state of Norway in terms of knowledge pools, winners & role models and professional capital? How are these three factors contributing to the success of the Norwegian tech ecosystem? As a startup, when should you consider VC fundraising? Does your business suits the VC model? Which Venture Capital Fund is right for you? How can you get a VC excited about your startup? The Venture panelists are Andrew Steele, Investment Team at Activant Capital; Henrik Grim, Investor at Northzone; Hilde Støle Pettersen, Partner at Momentum partners;and Adrian Tan, Program Director at VIISA. The panel will be moderated by Raja Skogland, from the Nordic Hub. Creative Business Cup is an international competition with focus on the creative industries. Creative Business Cup turns the spotlight on new entrepreneurial talents in the creative industries in order to motivate, train and develop the entrepreneurs of tomorrow. Five different startups will compete against each other for the one ticket to represent Norway in the global Creative Business Cup which is held each year (November) in Copenhagen, Denmark, during Global Entrepreneurship Week. Angel Challenge Bergen 2018 Finale: Supporting the Norwegian Startup Ecosystem by making investments happen. For the last two months, 15 Bergen Angel Investors have worked together analysing a handful of local startups, learning angel investing by doing it. During the Finale night, these investors will choose the winning startup, who will take home a 800,000 NOK investment. Join the hottest startups in the Innovation Bar for the total of three pitching rounds! This year the pitching will be evaluated by three different juries. Each jury is specialists within their field, and have exceptional experience from the startup world. The juries will select a winner from each round, which will get to pitch at the main stage during the closing ceremony. What a price! Be sure not to miss out on Pitching Round 3 in collaboration with The Factory, FintechMundi and KPMG - It's time for Fintech Happyhour in the bar! Wide Assessment is here to change how recruiting is done by making it easy to discover tech talents. They created a new type of résumé, called a Wide Assessment (WA), that instantly uncovers technical potential. Just like that, the power of job hunting is back in the control of its original owners; the candidates and companies. Ope is lego for interiors. They are on a mission to change the way people interact with their furniture. They offer a modular furniture system for the circular economy. Ope wants to broaden the team with investors that bring international marketing, sales and branding competence to our company. After 5 years of intense development, Misc Games have released the worlds first PC game about commercial fishing, called Fishing: Barents Sea. It has received brilliant reviews from players and journalists all around the world. We're now aiming to stay on top of our niche, with lots more fishing features to come in the near future. Berg Watches offer watches made of Icelandic salmon leather watch straps, with a minimalistic design inspired by the Norwegian nature. Berg was started in 2016 with the mission to tell the world the history about Norwegian fashion by using old materials on a new and modern way. The Worlds first fence system, without fences! Draw in a the area where your animals should graze on your NoFence app, the coordinates is send to the animals, and after a period of learning the animals are safely fenced in. Mingl is the digital business card solution that aims to finally digitalize one of the last analog processes still actively used worldwide. The need for visual content has never been greater than it is today. TimetoRIOT is committed to giving freelancers at all levels a platform that provides visibility to expand opportunity, and that gives those in search of visual media talent access to an updated global network of industry professionals. Hubro Education makes learning-by-doing easy and fun for business education. The business simulation games lets students practice what they learn by managing virtual businesses, which gives them a deeper understanding of the subject matter. They are mostly working in the Nordics right now, but want to expand to 12 countries by the end of the year and three times that at the end of next year. Graphiq is a collective of handpicked freelance designers ready to make your next website, presentation, logo, illustration or animation. Start a project and be connected with a designer that understands your needs. Marketwell has developed your digital assistant which can be used through an app on your phone or tablet. It will be available for the professional hair dresser marked in Scandinavia. They are currently working early stage in the Nordics and are looking to scale. TERP adjust content to simulate learning. They use technology in their electronic books, which identifies your starting position and adjusts the content to give you the fastest way to knowledge. TERP makes a-books, not e-books. An a-book adapts itself to the reader, and collects input based on their needs. A glove to control drones. How cool wouldn't that be?! Arveng Technologies is a company that provide custom wearable control system solutions, for people who need natural and intuitive control of their machines. At Startup Extreme 2018, they will show a functioning prototype of the HuMI Smart Glove. "Fra offer til kriger", or in english, "From victim to warrior" is an idea that came from the founder's own experiences, and consist of a group of speakers lecturing on mental health issues. The company has closed investor and is looking to scale further. SoBo Community aims to revolutionise fashion consumption by making second hand choices just as attractive and available as retail shopping. SoBo connects selected vintage fashion stores from all over Europe to its self-managed B2B platform, and provides users with a personalized and easy access to curated pre-owned fashion pieces. Welcome to FinTech HappyHour, presented by The Factory in collaboration with FintechMundi and KPMG. Sit down with a cold beverage and listen to the hottest Fintech companies in the Norwegian startup ecosystem pitch their inspiring ideas. Winner of this round will win five hours of coaching and support from KPMG! Clint Sookermany - KPMG, Simon Ruud - TheFactory. Luca Labs have made an artificial intelligence that reads and understands your accounting documents. It lets you take care of your documentation and receipts in an easy way - No more crumpled paper, just take a photo of your receipt and throw it away. Receive your expense report as a PDF or export it to your accounting software. Bizbot is a digital platform for simplification of company administration. They automize and digitalize hard and time consuming tasks. About to go through an emission? Save time by using the great emission tool brought to you by BizBot! Zeipt is bridging the gap between physical and digital by creating an open ecosystem for digital receipt distribution. The cloud software company provides a communication platform for digital receipts that connects merchants and their customers. A cloud-based solution for dissemination of receipts will contribute to improve efficiency and reduce the costs for retailers. Making receipts more accessible will provide the consumer with larger flexibility. BigPay lets you pay with the local currency when you are abroad, always with the best exchange rate and without any fees. This is the end of queuing up to change money or getting ripped off by credit cards. BigPay is one of the fantastic few international startups to join us at Startup Extreme, from Malaysia. Auka’s mobile payments platform enables retail banks to provide innovative products and services to consumers and businesses without the overhead of legacy IT. Auka’s technology facilitates increase bank customer acquisition and revenue generation. All products are cloud-based, white label and made available on a software-as-a-service (SaaS) model. Tillit Forsikring is insurance that costs what an insurance should cost. The price is adjusted, everything is controlled through an app and the costumer will get back more money than a regular insurance company will pay.